Although the Sacramento National Wildlife Refuge (www.fws.gov/refuge/sacramento) is worth a visit any time of the year, it’s especially interesting during the fall, when scores of ducks, geese and other waterfowl return to the sanctuary. 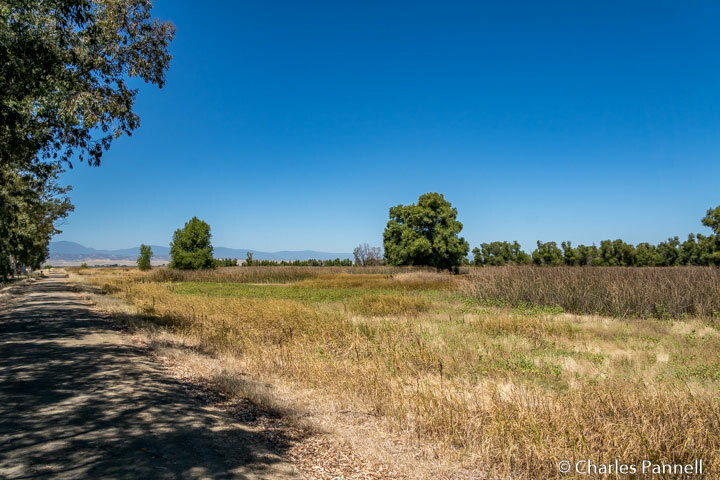 And since it’s just a short hop off of Interstate 5 in Willows, it’s also a great place to take a much needed break from highway driving, stretch your legs and spend some downtime with Mother Nature. 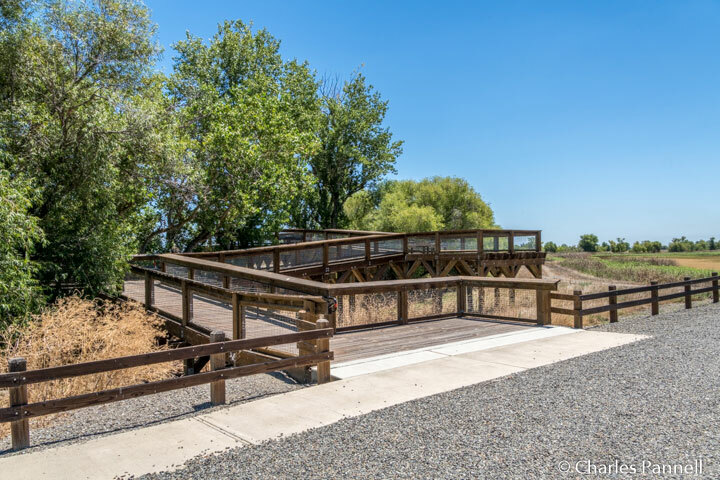 Accessible parking is located near the visitor center, with a level paved path over to a series of interpretive panels. There’s barrier free access to the visitor center, which houses some interpretive displays, a book store and an information desk. Outside, there’s a picnic area with accessible tables located near the accessible restrooms. And if the sun proves too much for you, there are also some shaded benches located near the parking area, across from the Wetlands Walk trailhead. Although the entire two-miles of the Wetlands Walk is not wheelchair-accessible, there is a nice ¾-mile loop in the north section, which is suitable for wheelchair-users and slow walkers. This hard-packed dirt and asphalt trail circles the seasonal marsh and offers some prime waterfowl viewing. From the visitor center, the trail winds around the wetlands for about 3/10 mile before it branches off in three directions. The most accessible route is the trail on the left, as the one on the right has a lot of bumps and obstructions along the way. The accessible section of the trail continues along the back side of the marsh before it circles back to the visitor center. Peak waterfowl viewing time along the Wetlands Walk is from November through February in the early mornings. The duck and geese population peaks in December and visitors can expect to see mallards, geese and teals, as well as a healthy population of ring-necked ducks. And although winter brings more waterfowl to the refuge, try and avoid the Wetlands Walk after heavy rains, as the dirt paths can get muddy and slippery. The refuge also features a self-drive auto loop tour that offers year-round bird and wildlife viewing. The loop begins in the parking lot and travels six miles around the refuge. Visitors are asked to stay in their vehicles along the route, except at the three designated stop-and-stretch areas on the drive. A short commentary about the refuge is also available on the radio at 93.1. The first stop along the drive is located just after the first turn. There’s no striped parking in the level area, but there’s plenty of room to park an adapted van so it won’t be blocked by other vehicles. There’s no viewing platform at this stop, but it’s a good place to catch a close look at the resident waterfowl. The second stop offers parking in a level dirt area, with barrier-free access to an accessible pit toilet, as well as the multi-level observation deck. The deck features ramp access and offers shaded benches on both levels. 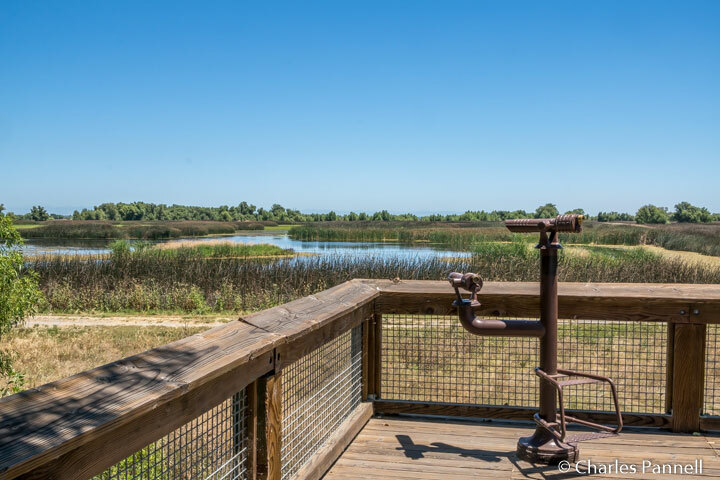 The top level overlooks the adjacent marsh, and features a wheelchair-height scope for a closer look at the birds. The third stop also has a level dirt parking area, an although it’s not striped there’s one spot reserved for visitors with an accessible parking placard. There’s no viewing platform at this stop either, but it’s easy to spot the birds as they dart around in the large open area. There also a seasonal extension along the auto loop that’s open in the summer. It leads around pool two and offers some good vantage points to observe the herons, egrets, pelicans and grebes that remain at the refuge to nest. Resident deer, blackbirds, jackrabbits, otters and muskrats can also be spotted along this seasonal extension. And although there are no stops along this route, because of decreased visitation in the summer, it’s easy to stop along the road and use your car as a blind to catch a glimpse at some of the permanent residents. No matter when you visit the refuge, the good news is that there’s free admission for folks who have an America the Beautiful Access Pass, or any other national park pass. And you just can’t get better than free!